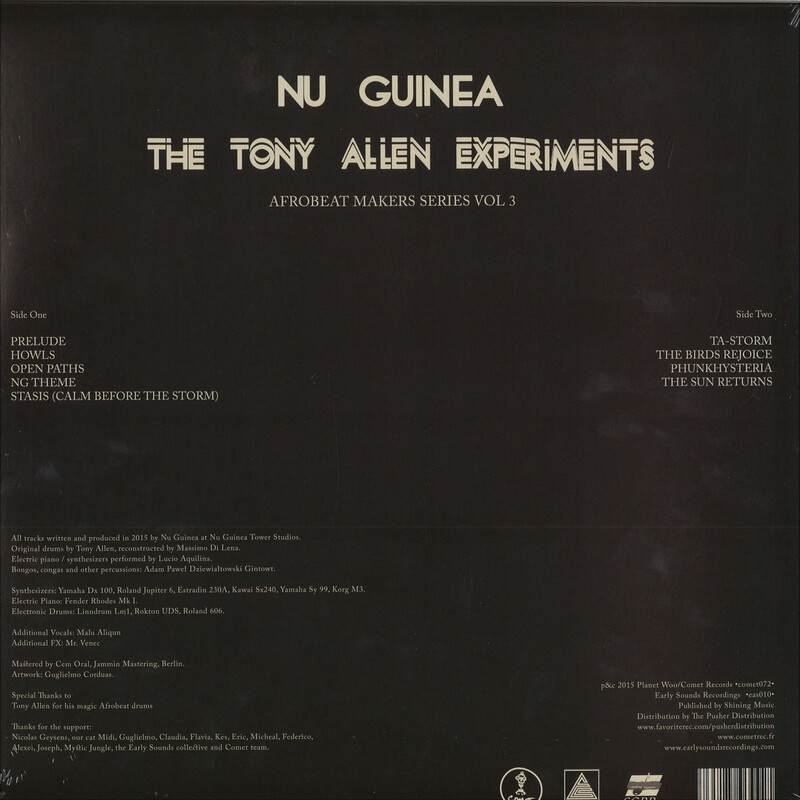 Comet is pleased to announce the third volume of the Afrobeat Makers Series: Nu Guinea — The Tony Allen Experiments.By re-working the original magic drum patterns from the Afrobeat master Tony Allen, Nu Guinea created a compilation of tracks which is charged by a voluminous electronic jazz-Psyche funk imprint.For this release, Comet Records teamed up with Early Sounds Recordings, the berlin label, also home to duo Berliners Nu Guinea.The Naples formed, Berlin-based duo, is a project that arose out of jam sessions, melting synthesizers with instruments, containing a handmade sound that is not aiming for perfection but genuineness. It can be understood as a steadily shaping form, always open for collaborations with other musicians. 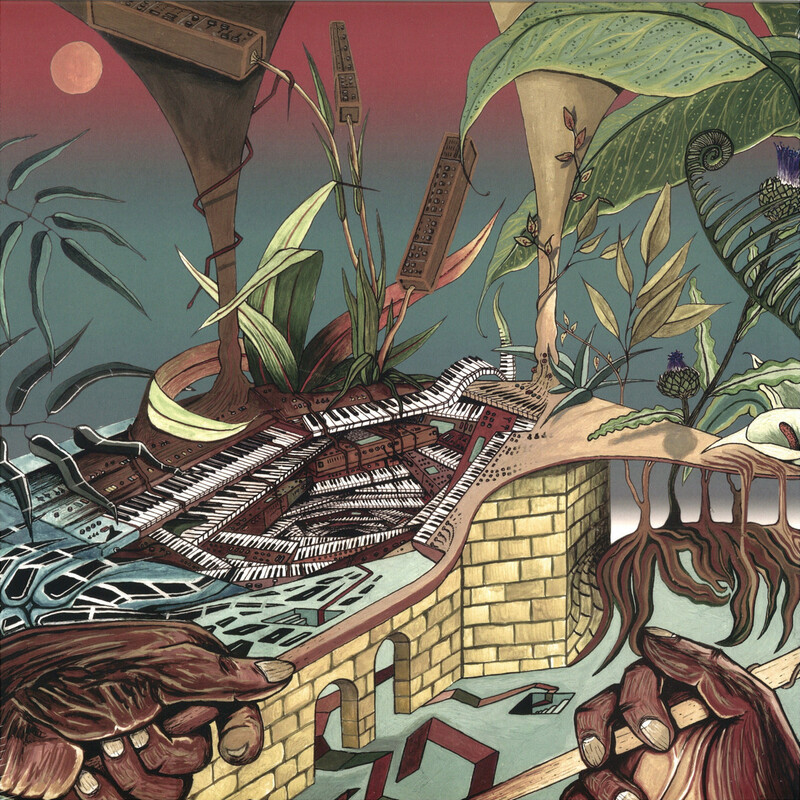 They’ve previously collaborated with singer Wayne Snow (fellow berliner artist on Comet) for the vocal edit of Nu-World, also delivered a remix for Wayne Snow’ Rosie Ep’ both recently released on Tartelet Records.Nu Guinea — The Tony Allen Experiments LP due to be out on February 9th 2016, as vinyl LP.